If high marks in NCEA is your measure of a good education, one Canterbury school has emerged as the best in the bunch. Early data for 2016 showed Rangi Ruru Girls’ School had the highest rate of Excellence endorsements, with 52.5 per cent of its students achieving the system’s highest grade. Students at the private school also received 35 scholarships in last year’s Scholarship exams, placing Rangi Ruru fourth in the region behind Burnside High (63 scholarships), Christ’s College (41) and Cashmere High School (37). Private and state-integrated schools took out most of the top spots in rankings based on Excellence endorsement and overall pass rates. Girls’ schools generally outperformed their boys-only contemporaries. Rangi Ruru’s winning rate of Excellence endorsement was followed by St Margaret’s College (47.9 per cent of students), St Andrew’s College (33.3 per cent), Christ’s College (33.2 per cent) and Christchurch Girls’ High School (29 per cent). Girls’ High students performed best among public high schools. 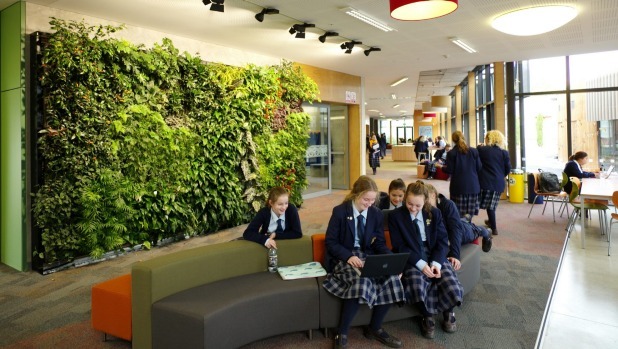 Cashmere High School was second place with 26 per cent of students gaining an Excellence endorsement, followed by Oxford Area School (24.6 per cent), Burnside High School (22.2 per cent) and Avonside Girls’ High School (18.1 per cent). Canterbury’s overall pass rates for 2016 lagged slightly behind the national averages. About 86.4 per cent of the region’s year 11 students passed NCEA Level 1 compared to 86.5 per cent nationally, 88.9 per cent of year 12s passed Level 2 (89.9 per cent nationally) and 82.2 per cent of year 13s passed Level 3 (83.4 per cent nationally). St Margaret’s College had the best pass rate across all year levels – 99.6 per cent – beating out Fairlie’s Mackenzie College (98.5 per cent), Rangi Ruru (98.2 per cent), St Andrew’s College (98 per cent) and Christchurch Girls’ High (96.8 per cent). Maori immersion school Te Kura Kaupapa Maori o Te Whanau Tahi had a 100 per cent pass rate but was not a statistically significant sample. After Mckenzie College and Girls’ High, Timaru Girls’ High, Darfield High and Mount Hutt College had the highest pass rates overall (93, 92.1 and 91.9 per cent respectively). Akaroa Area School was another small but high performing school, with a 93.3 per cent pass rate. Following the national trend, the highest performing schools in Canterbury were decile 7 to 10, with decile 1 to 3 schools, such as Hornby High and Linwood College, among the lowest performers (63.3 and 70.8 per cent pass rate respectively). However, the region’s two worst performing schools – Christchurch Rudolf Steiner School (46.8 per cent pass rate) and Cheviot Area School (59.9 per cent) – are decile 8 and 7 respectively. Rudolf Steiner School has its own assessment programme which incorporates some elements of NCEA. NCEA does not take account of schools’ improvement or accurately measure the performance of learning disabled students. Previous Post:The Bachelor NZ live: Is there any point to this show now Nina’s gone? Next Post:The Bachelor Recap: who dated Dominic Bowden?